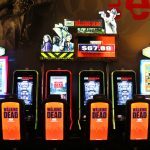 If you like playing slot machines and you want a chance to win a bigger jackpot you might want to think about playing progressive slots. Progressive slots are offered by most casinos, both local and online casinos for US players. When you win with one of these machines you can usually stand to win a lot more than if you played on a machine that is not of a progressive nature. Of course, you might have to risk more, but when you win all of the risk will be more than worth it. 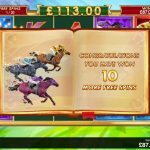 What is so attractive about progressive slots? The jackpots that you win with these machines can change your life. You won’t usually win a couple hundred dollars, rather you can win thousands, tens of thousands, and beyond. This is money that could literally change your life for the better. 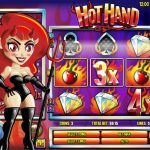 Of course, the chance of winning this much money from a slot machine is very small, but the chance is still there and that is what makes them so attractive to so many people. So, what’s the catch? The catch is that the jackpot has been built by all those who have come before you and have not won. It is their lost bets that create this huge jackpot. The catch is also that you cannot bet just a dime or even a quarter to play for the jackpot, you will need to play the maximum number of coins that the machine requires to be eligible for the jackpot. If you play the machine but you don’t play the maximum number of coins and you land a winning combination of symbols, you still will not win the jackpot. 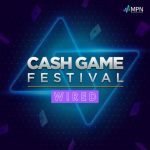 So, you must keep this in mind when you are playing these machines and you want to win big. 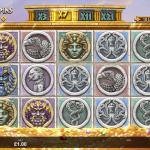 Progressive slots are just like any other slot machine, they just have huge winnings attached to them. 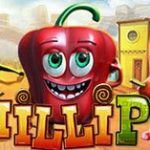 These machines can stand alone or they can belong to a series of machines where the jackpot is allowed to grow larger and larger since more people are playing and losing with several machines than just one. The jackpot is what will draw people in. 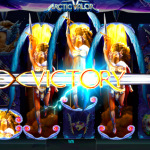 If you are going to play progressive slots you should set a limit on how much you are going to spend. That huge jackpot can make people do crazy things and you can lose more money than you realize before you know it. Have a set amount of money that you are willing to spend before you start, and stick to it. 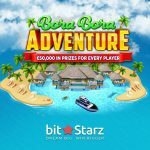 This will allow you to enjoy the thrill of playing for such a huge jackpot without actually breaking the bank. Managing your bankroll in this manner will keep progressive slots as a form of entertainment rather than a source of stress.